How many of you have ever looked at your course syllabus and found that you were being evaluated for “classroom participation”? How many of you have also looked at your course syllabus and discovered that you were not provided with an understanding of how you would be evaluated based on “classroom participation”? I have wrestled with these two aforementioned queries for some time now. I contend that it is quite problematic to evaluate students based on “classroom participation” when they are not given specific details about how they will be evaluated. One of the chief reasons why I find being evaluated based on classroom participation is it becomes a way for your instructor to punish you if he or she does not like you, or if he or she has ever taken offense to something that you have said in class. When one views classroom participation from this perspective, it becomes tremendously easy for one to understand how “classroom participation” can become a mask for discrimination. In college, I’m not sure that we (instructors) should even be focusing on evaluating students for their classroom participation. The focus for instructors should be on ensuring that students are learning and not on punishing them for a lack of attendance, which is often the larger rationale for why classroom participation is included on most course syllabi (in my opinion). The challenging way in which the course instruction is offered should be enough to drive students to class. Instructors should not use false ploys like “classroom participation” to try to punish students for not attending their classes. I must say, however, that if a clear standard is being employed when one includes “classroom participation” on his or her syllabus, then I do not have a problem with including it. 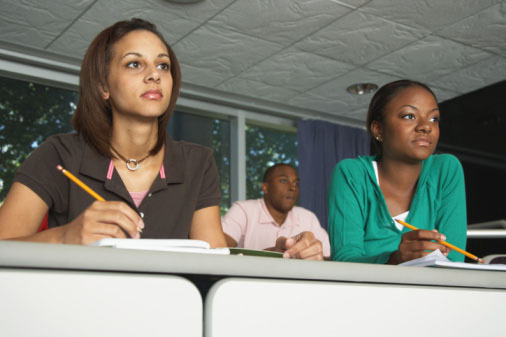 For example, when an instructor decides to engage students in a significant amount of the learning activities inside of the classroom, then I think that it would certainly be reasonable for classroom participation to be included on the syllabus, and, in this case, it is justified to have it account for a significant percentage of students’ grades (if this is the desire of the instructor). From my experience as a college instructor, I know how important class attendance and participation in class is. I do not think, however, that it is my duty as an instructor to be students’ parents and force them to attend my classes. I have hardly ever had a problem with any student who elected to not attend my classes. One of the dominant reasons why I believe that this has happened is I empowered students to make the decision about whether or not to come to my classes or not. From the very first day of class, I always let them know that without an excused absence I would not do anything to help them with what they missed in class. Instructors need to rethink how they construct their notions of “classroom participation” and students need to begin to understand the value behind coming to class and actively participating in class. It is not simply the responsibility of the instructor to provide students with knowledge, but students have to become stakeholders in their own education. The next time you see “classroom participation” on your course syllabus be sure to ask probing questions of your instructor about what it really means, especially if he or she has not provided you with any specific details.